Photos © Ed Alcock / M.Y.O.P. Eunice Lipton was born in the Bronx, is a fervent New Yorker, but lives half the year in Paris. She writes memoir, cultural history and art criticism. Lipton received her Ph.D. in art history from NYU’s Institute of Fine Arts. In Looking Into Degas, it was the artist’s ironers, milliners and prostitutes that intrigued her. In Alias Olympia, she imagined the life of a 19th century artist’s model as well as her own mother’s 9-5 shifts at Woolworth’s. Almost behind her back, Lipton began to write about Jewish culture, yet for decades avoided the subject of France and Jews. Until she wrote French Seduction: An American’s Encounter with France, her Father and the Holocaust. In her latest book, A Distant Heartbeat: A War, a Disappearance, and a Family’s Secrets, she takes an unexpected turn and writes what amounts to a political ghost story. Spanning 75 years, from the tumultuous days of the Spanish Civil War and New York in the 1930s to the present, it explores the power of words and of memories to uncover buried secrets, reconstruct lost legacies, and even, perhaps, resurrect the dead. In another life Lipton was a professor of art history at Hunter College and the State University of NY, Binghamton. She was a visiting lecturer at the Art Institute of Chicago and the Parsons School of Design as well. As soon as Lipton received tenure at SUNY Binghamton, she quit academia. 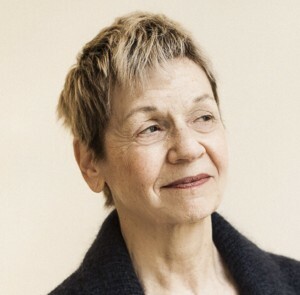 Lipton has published essays and reviews in The Daily Beast, Hyperallergic, The Nation, The Guardian, The New York Times Book Review, The Forward, The Women’s Review of Books, Art in America and more. Lipton lives with the artist Ken Aptekar.